Availability: This product is discontinued and no longer available for purchase. For alternatives browse our Squash Bags department. This stylish and functional collection is packed with extra performance features. All bags come with foamed racket protector sections, zoom zippers with nylon pulls and water repellent/dirt resistant PVC and nylon surfaces. 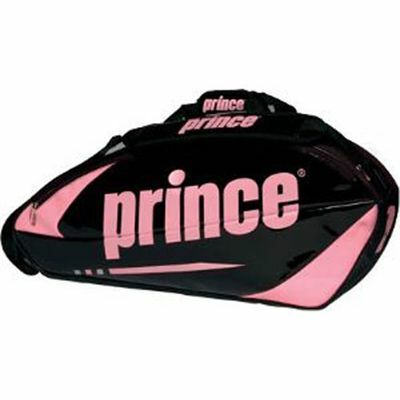 for submitting product review about Prince Team 6 Racket - Thermal Bag .